There’s just something so fresh and motivational about January. Between New Year’s resolutions and fitness goals, renewed commitments to organization and financial responsibility, the list of things we can accomplish in January seems almost super-human. Use this heightened motivation and momentum to prepare for tax season, too! While you’re not required to file for a few more months, it’s best practice to take a look at your taxes now so you’re not scrambling come April. There are a few steps you should take to proactively prepare for a successful tax season. Let’s take a look. Know what you’re up against when preparing your taxes. Organizing your financial information can be a tedious task. Who can keep up with the amount of junk mail these days… not to mention all those electronic, paperless statements you also need to manage? If your CPA or accountant didn’t provide you with a list of suggested documentation, a great way to generate a checklist is by scanning your tax return from last year. Income: Did you or your spouse change jobs and/or receive an income adjustment? Mortgage: Interest on mortgage is often one of the largest deductions claimed by taxpayers; jot this down as a reminder to check your current statements for the amount paid. Donations: Last year’s return might remind you of charities you regularly donate to, such as the Salvation Army. Look through your list to research the amount donated in this current tax year. Pro tip: Invest in a document scanner that allows you to neatly and conveniently store pertinent receipts, invoices, etc. so you’re not scrambling around looking for your cumulative child care bills come April. Once you’ve gathered all relevant financial information, it’s time to hand it over to your tax preparer. True, you can file your taxes by yourself, but we recommend hiring a professional who can give you the best advice on itemized deductions, eligible credits, and tax-saving strategies. When choosing an accountant or CPA, try to look for the best in the business. You might have to pay a little more for their hourly charge, but you may be able to deduct the cost of your tax preparation on your next year’s return! 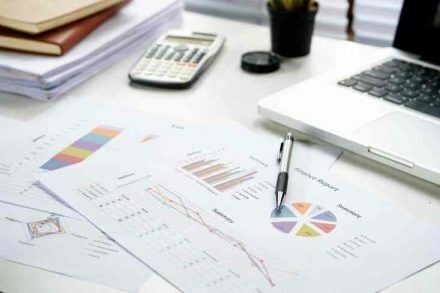 An experienced CPA will know how to file your taxes for the biggest return, plus they’ll usually have the best preparer tax software that generates automated suggestions for how their clients can reduce their future taxes. It’s a small price to pay upfront that can lead to huge savings down the road! Now that your tax return is filed, you should take a step back to look at the bigger picture. Use this time to spring clean your finances—or, if you want to deal with less data, make it a goal to clean up your finances on a monthly basis rather than a yearly one. We recommend calculating your net worth to compare it to last year’s. Simply add up all of your assets subtracted by your amount of outstanding debt to find your net worth. Compare the number to last year’s and congratulate yourself if it was higher than before—it means you’re doing things right! Now’s also a good time to request one of the free credit reports you’re entitled to within a given year. A credit report helps make sure you haven’t forgotten about any of those past due notices. Itt may also alert you to anyone who’s opened credit under your name through identity theft. 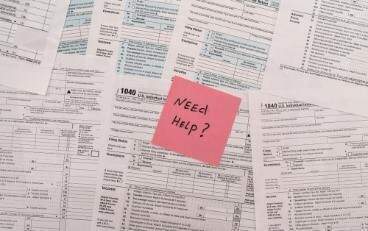 Know your entire financial situation when preparing taxes. By crossing all the tax stuff off your to-do list early on in the year, you’ll be better able to plan for the road ahead (and we know careful financial planning is the most commonly shared trait amongst wealthy individuals!). Once you know what amount you can expect back, you can begin to budget your tax return and how you plan to use it. Maybe this is the year you finally take that family vacation! Or maybe it’s time for those energy-efficient upgrades—just remember to keep track of your expenses so you can write them off on next year’s return. It’s always in your best interest to be proactive versus reactive. Start thinking about your taxes now in order to see more savings (and less stress!) down the road. Just shot off the organized data for personal income to the accountant yesterday. Now I have to plow through the S-corp stuff. We’re trying to simplify. She’s suggested that since the original reason for organizing the bidness as an S-corp no longer applies (it was so that I would not have to close down my business in the two years between the time I was laid off my job and the time I became eligible for full Social Security), we’re thinking of de-incorporating or switching to an LLC, so we would have to do only one tax return.